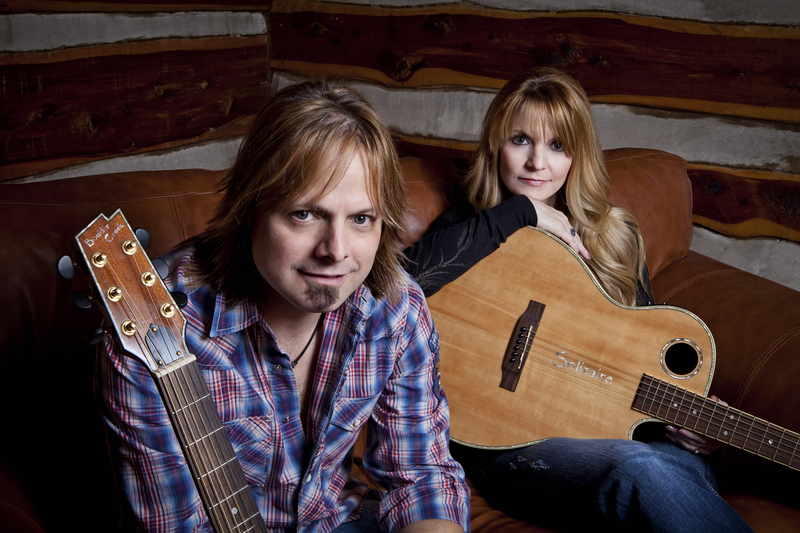 Nashville, TN (May 21, 2012) -- Award-winning Bluegrass brother/sister duo THE ROYS host 650 AM WSM Radio's Guest Artist Series tomorrow from 2 - 3 p.m. The show, unique to radio, gives the guest artists a chance to play some of their own hits, along with some of their all-time favorite tracks by other entertainers. Listeners will hear "stories behind the songs" and what makes certain records meaningful to the hosts. With their current single, Trailblazer, moving to the #4 spot on June's Power Source Bluegrass Top 35 Chart, it is obvious that Lee and Elaine know a good song when they hear one. Listeners can expect a broad range of genres and an eclectic mix of artists from these "temporary" deejays. "We believe it all begins with a song," notes Lee Roy. "So for us, this is a really cool format for a show." For Elaine Roy, the opportunity is one they've worked hard to fit into their busy schedule of touring, TV appearances and recording. "We've wanted to do this show for a very long time," she says. "The stars finally lined up for us, and we plan to make the most of it." The duo's upcoming schedule is jam-packed; CMA Music Festival week will find them riding in the event's opening day Parade and performing songs from their current CD, LONESOME WHISTLE, on the Chevy Acoustic, Durango Acoustic Corner and Nashville Convention & Visitors Bureau stages. THE ROYS will also entertain fans and sign autographs at one of their favorite venues, the world-famous Ernest Tubb Record Shop in downtown Nashville. For Joe Limardi, 650 AM WSM's Operations Manager, THE ROYS bring a special spark to all their engagements. "I'm looking forward to the chemistry that Elaine and Lee have on stage to come through the speakers during their upcoming guest hour," he states. "Better not blink, it'll go quickly and most definitely be fun!" THE ROYS will return for a second Guest Artist Series appearance on Tuesday, June 26. Fans can listen to both shows online at 650 AM WSM and can catch up with Lee and Elaine on www.theroysonline.com.